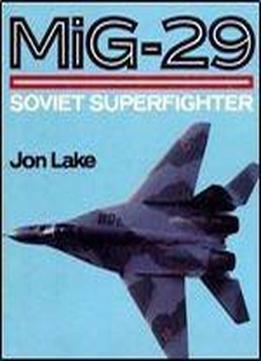 Absolutely invaluable to the modeller or enthusiast of the MiG-29. The subject of grainy, long-lens shots prior to 1988, with the advent of 'Glasnost', the (then) Soviet Union's most potent air-superiority fighter appeared publicly in the West. With masses of action shots of Fulcrums in flight as well as close-up detail studies of cockpits, landing gear, intakes and more.